Please excuse us, Maids A-Milking, but we’ve got Connor Joyce! 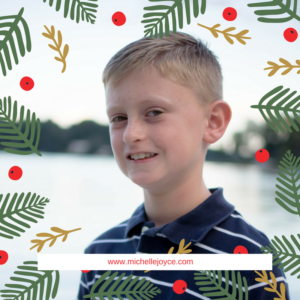 Connor (age 9) is an Heir Apparent to our company, loves to present to audiences, and plays an active role in managing our speaker roster in his notebook. He is gregarious, charming, and incredibly smart. When Connor is not tracking our speakers, he assists with work/life balance for our team. He enjoys sports, playing outside, and Pokémon cards. CONNOR: My mom makes chipped-beef gravy for breakfast on Christmas morning. CONNOR: Our family gives to a charity every year. CONNOR: Always have a positive mindset and always love your work. Editor’s Note: Connor answered these questions by himself – with no prompting – and made his parents incredibly proud. 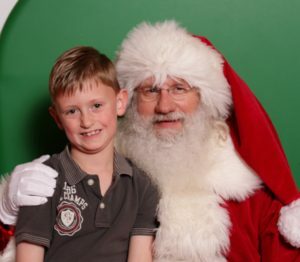 Excellent responses from a really bright kid (I bet it netted him a few extra “Nice” points on Santa’s list to boot!) I’m enjoying this series immensely, thanks for posting them! Thanks so much for reading, Don! Merry Christmas!